New Delhi: The Faculty Association of AIIMS (FAIIMS) has written to AIIMS Director Randeep Guleria expressing concern over the non-implementation of the Seventh Pay Commission for the faculty of the premier medical institute. 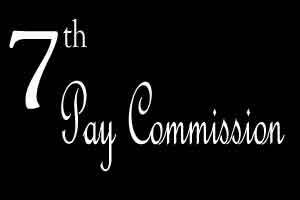 The FAIIMS said the committee constituted for fixation of salary as per the 7th Pay commission had sent its report to the Union Health Ministry on February 10 and till date it has not been implemented. “The AIIMS received strange commutation on May 1 from the Ministry of Health seeking clarification on basis of pay scale recommended by 6th CPC. “The institute sent the clarification on May 31 as per our record. It is very unfortunate that till date the AIIMS Faculty has no information regarding implementation of the 7th CPC,” FAIIMS said in its letter. The letter has also been marked to Union Health Minister J P Nadda. The General Secretary of FAIIMS, Dr Nand Kumar said that everywhere in the government including other central government hospitals, the 7th Pay Commission recommendations have been implemented. “Even the staff of the AIIMS are getting their salary as per the 7th Pay Commission,” Dr Kumar said. “Despite the committee approving the proposal for revised 7th CPC on February 10 and sending the report to Health ministry, it is strange that the ministry sought to know the basis on which pay scales were allowed after 6th CPC which was implemented more than ten years ago,” Dr Kumar said. FAIIMS in its letter demanded immediate implementation of the 7th CPC and constitution of committee for allowances for the AIIMS faculty to address the issues of allowances appropriately.